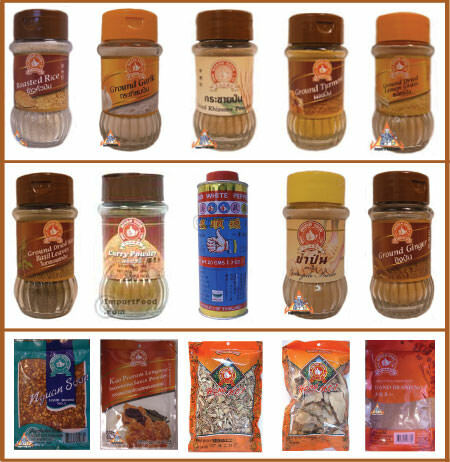 Highest quality spices direct from Thailand. All of these are fresh from the spice mill and perfect for making a lovely gift for anyone who enjoys cooking, unique premium quality fresh Thai spices. A great deal on authentic exotic imported Thai spices--a $48 value at our already low prices. Order the kit with or without a solid granite mortar and pestle.